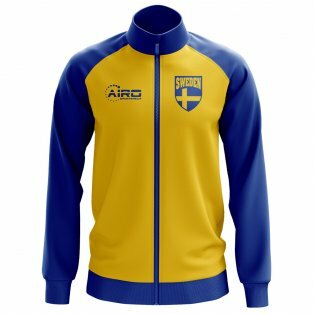 Buy official Sweden football kits in the UKSoccershop online store. 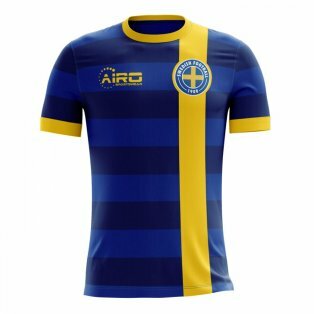 We sell the latest Swedish home & away replica kits and complete your strip with the matching shorts and socks. 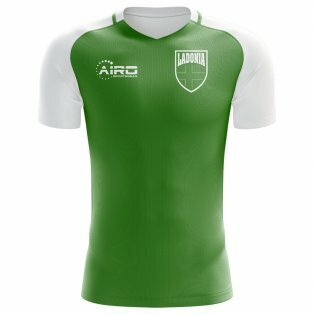 Add official shirt printing for legends such as Zlatan Ibrahimovic, Freddie Ljungberg or Hendrik Larsson or choose your own name and number. 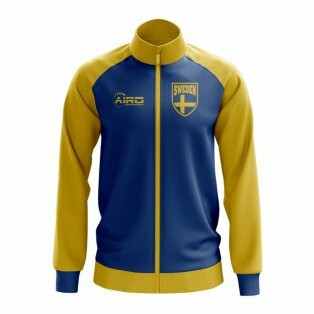 Buy official Sweden training kit from Adidas including polo shirts, tracksuits, hoodies, training jerseys and more. 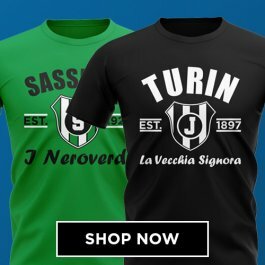 100% authentic merchandise with fast international shipping and next day UK delivery. 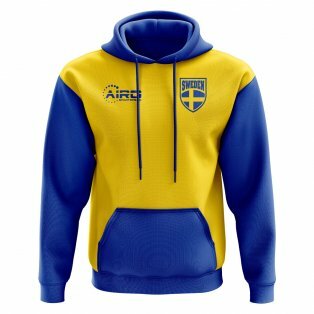 For fans of the Swedish national team, you have come to the right place as you can buy the official Sweden shirt plus a range of training kit, gifts and merchandise. 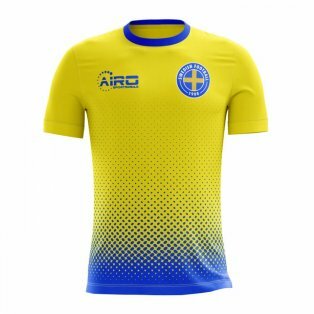 We ship our range of Sweden jerseys to soccer fans all over the world and offer authentic shirt printing on the new home and away kits. Sweden, whose nickname is Landslaget, played their first fixture in 1908 when they thrashed Scandinavian rivals Norway by 11 goals to 3. For their modest size as a nation, the Swedes have been relatively successful in international football, achieving a second placed finish at the 1958 World Cup, which they hosted, and two third placed finishes in 1950 and 1994. They also reached the semi-finals of the 1992 European Championships, which they again hosted. 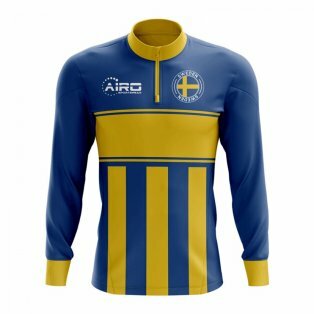 Over the years, the Sweden shirt has been worn by some of the greatest strikers ever to play the game such as Zlatan Ibrahimovic and Henrik Larsson. The Swedes wear a distinctive yellow home shirt, which is completed with blue shorts and yellow socks. 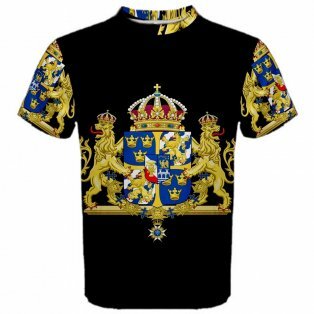 The colours reflect those of the Swedish national flag. Sweden are a very patriotic nation and the 37,000 capacity at the Rsunda Stadium in Solna often turn the scene yellow in tribute to the national team. Notable players to wear the soccer jersey of Sweden over the years are Andres Svensson, Freddie Ljungberg, Kim Kallstrom, Olof Mellberg and Thomas Ravelli. 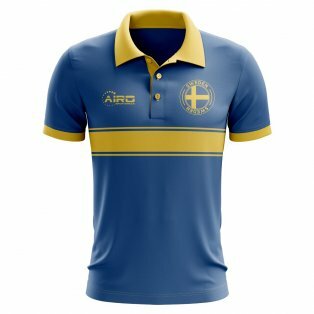 In contrast to the bright yellow home shirt, the Swedes traditionally choose a dark coloured away shirt, which normally rotates between a dark blue and navy colour. 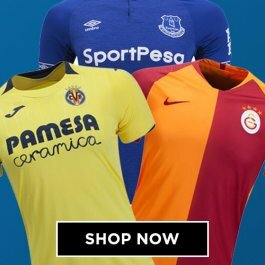 Traditionally, the away jersey is a strong seller at UKSoccershop. 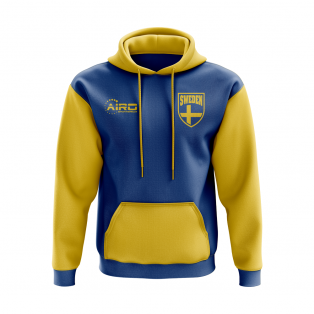 This has been helped by the popularity of strong sellers Ibrahimovic and Larsson who have created a strong demand for Sweden football shirts in both adult and kids sizes. Adidas are the long term kit manufacturers of the Swedish national team, sponsoring the team from 1974-2003. Umbro took over on a ten year contract which lasted until 2013, before Adidas took back the contract for the 2014 World Cup. Both kit suppliers maintained the classic yellow and blue colour scheme which is so distinctive with the jersey. 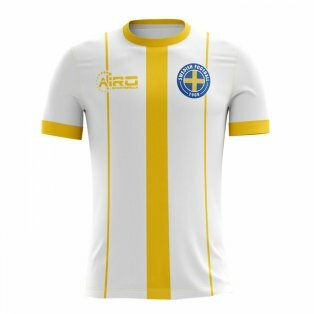 Both the new home & away Adidas jersey, including shorts and socks, as well as some classic Sweden Umbro kits, are available to order in our online store, with worldwide delivery. 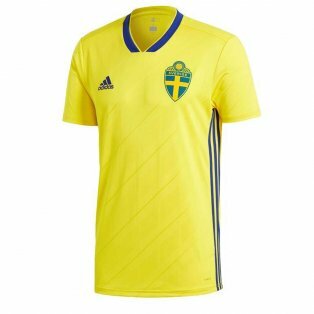 Adidas also release a range of training clothing for Sweden including jerseys, shorts, trousers, tracksuits, jackets, polo shirts and scarves. All our training apparel can be customised with the initials of the recipient, providing a truly unique gift. Incredibly, more than one in three Sweden shirts we have sold over the past 6 years have included the name and number of Zlatan Ibrahimovic. 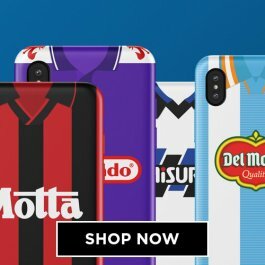 Although the iconic striker retired from the national team after Euro 2016, demand for his jerseys has not subsided and he still remains our best selling player. 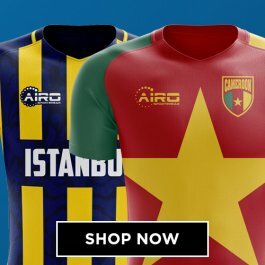 In the same way the likes of Diego Maradona and Pele have retained legendary status and still sell strongly to this day, we anticipate that Zlatan jerseys will continue to sell for many years to come. 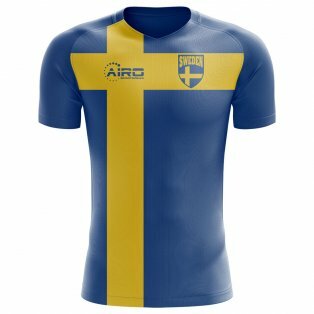 Custom name and numbers are available on our full range of Sweden football shirts. 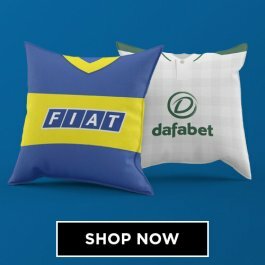 You can choose your favourite player – both past and present – or even add your own personal shirt printing. All our international football shirt printing includes the front number.